Everyone loves a good name trend. And I, personally, love it even more when that trend comes from a thing or a person that is worthy of the accolades — that's why I was delighted to see that Simone is now one of the most popular baby names. 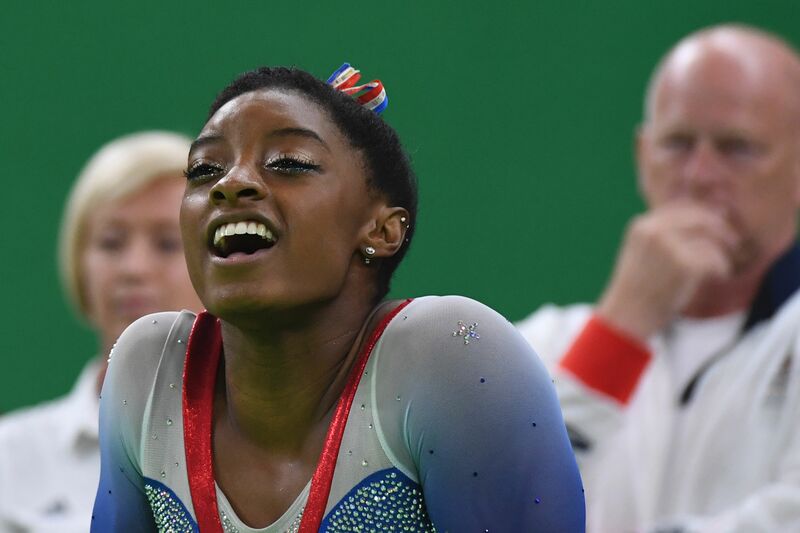 According to NBC News, Google searches for “Simone baby name” have spiked 230% this month alone, likely thanks to legendary Olympic gymnast Simone Biles. I mean, with this Olympic season (which cemented Biles' status as one of the best gymnasts in the world) and the amazing athletes that have made themselves known during it, it’s really no surprise that the name is taking off in a major way. I mean, who wouldn’t want to name their baby after someone who is strong and inspiring and taking over the U.S. sports news these days? Biles, of course, a member of the U.S. women’s gymnastics team, has been the name on everyone’s tongues as the Rio Olympics have played out on national television over the past few weeks. Not only did she play a major part in winning her five-athlete strong team Olympic gold, she has also won four gold medals and another bronze for good measure during the this year’s Olympic games. With newscasters and journalists talking about how this athlete is the next big star, it’s really no wonder that searches for her name have spiked over the last few weeks. Her name is not only on everyone’s minds, it is also a name that is just as strong as she is. Now, if you’re thinking that naming your child after Simone Biles is going to guarantee that they become a famous Olympic athlete, you might want to look into other options that might actually put them on that path. But, if you like the name because Biles is killing it as an athlete on the U.S. Olympic team and you want to name your baby after someone who is strong and inspiring, then there's no better name than Simone's.